4" x 30' Winch Strap w/Flat Hook — Lodi Metals, Inc.
Click on picture to get more information on this strap. 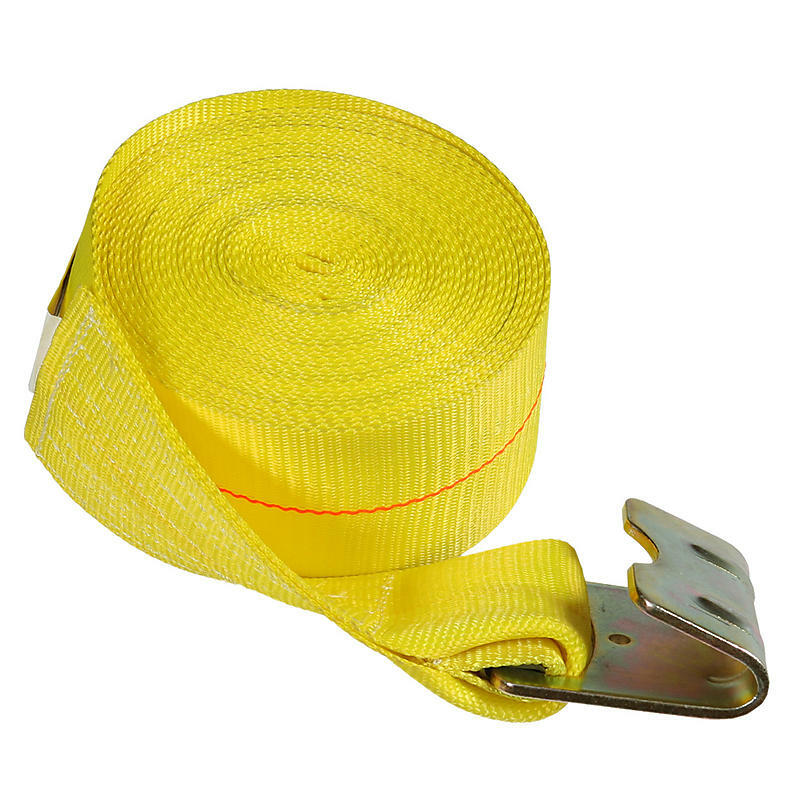 We make our winch straps with UV coated certified polyester webbing and heavy duty zinc-dichromate plated hardware. Our heavy-duty winch straps fit any standard 4” ratchet or winch for flatbed trailers. Our winch straps also have a defender on the inside of the flat hook to protect the webbing where the flat hook is connected. This protects against wear at the most common abrasion point and lengthens the strap life.